This page shows the latest Merrimack news and features for those working in and with pharma, biotech and healthcare. 260. PharmaEngine/Merrimack. MM398 in oncology. Licence. 220. CytRx/Orphazyme. Molecular chaperone assets for rare genetic lysosomal diseases. Biogen. Patent settlement. Tecfidera (dimethyl fumarate). 1, 250. Merrimack Pharamceuti-cals. 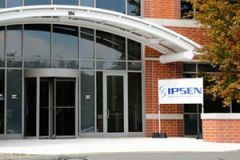 Ipsen. Three women's health products . 1, 025. 82. Merrimack / Baxter. Licence to commercialise.